The School of Education is accredited by the Missouri Department of Elementary and Secondary Education. 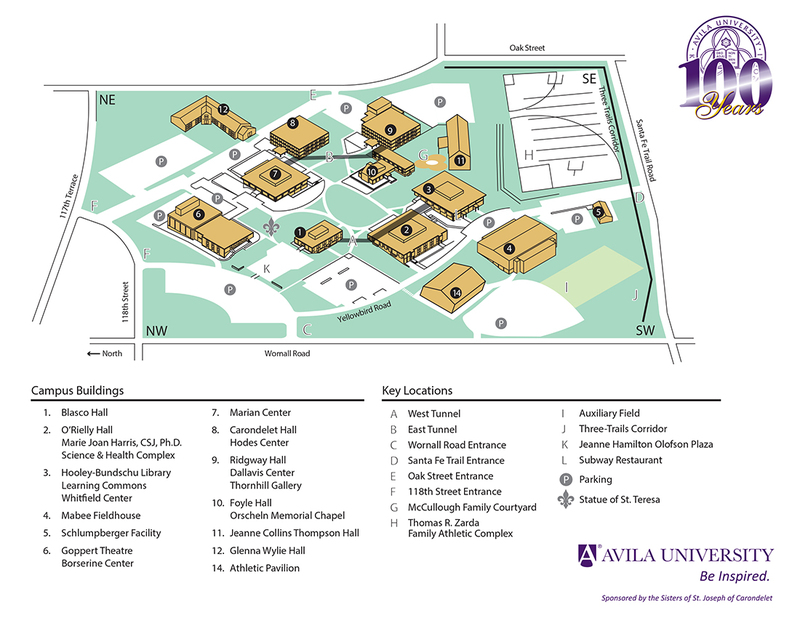 The School of Education at Avila University is committed to educating innovative, adaptable, and involved professionals who will provide service to a diverse and ever-changing population. Through value-based learning and authentic experiences, our graduates will be qualified, ethical, and responsible contributors to the greater society. This program is designed for the adult who has completed a baccalaureate degree and wishes to pursue teaching certification. The education courses required for the 9-12 (high school) teaching certificate are offered in an intensive study format at a graduate level. Courses for elementary, special education, middle school education, and K-12 education are also offered at a graduate level; however, some may not be offered in an evening, intensive study format. Additional undergraduate courses will be required to complete the state requirements for certification in elementary and special education. Avila University teacher education programs approved by the State of Missouri are elementary (1-6); special education: mild/moderate cross categorical (K-12); middle school (5-9) with concentrations in language arts, mathematics, science, and social studies; art education (K-12); and secondary education (9-12) with concentrations in biology, business, English, social studies, and speech/theater. For more information see the School of Education graduate website. Most teacher education candidates apply for Kansas teacher certification along with Missouri teacher certification. The applicant seeking admission to the program can view requirements on the Admissions page of this catalog. For more detailed information on the criteria for admission to the School of Education, please see the School of Education Teacher Candidate Handbook , pages 13-17. The School of Education reserves the right to refuse admission to the teacher education program to any person who has been convicted of a felony or has otherwise committed offenses inappropriate for a teacher. All candidates who have been officially admitted to the Avila University Graduate Initial Certification program must maintain a cumulative grade point average of 2.75. Candidates must also maintain a grade point average of 3.0 in their content area. All candidates (at all levels) must maintain a grade point average of 3.0 in education coursework. A candidate who receives an earned grade of “F” or who does not maintain the required cumulative grade point averages will be dismissed from the program. A grade of “C” or better is required in each course in the graduate certification program. Only one course may be repeated one time during the program. To be granted an initial teacher certificate, all coursework must be completed within seven (7) years from the time admitted to the graduate program. For more detailed information about the School of Education programs and policies, please see the Education Teacher Candidate Handbook . Teacher candidates may choose one of the internship options instead of Final Clinical Experience, if applicable. This option is not available for teacher candidates seeking certification in special education. Test Prep for Teacher Candidates is strongly recommended. The School of Education has ten Conceptual Framework goals/outcomes which all initial certification candidates must achieve. These goals/outcomes are aligned with the Missouri Teacher Standards and Quality Indicators. These goals/outcomes are designed to produce excellent teachers who meet the university and School of Education missions. A full text copy of the School of Education Conceptual Framework, including goals/outcomes assessment information, is available in the School of Education office and on the School of Education website. Candidates will demonstrate strong competencies in the communicative arts including exemplary use of the oral, written, nonverbal, technological communication and group processing skills with professors, students, colleagues, administrators, parents, and others in the educational arena. Candidates will exhibit critical reflection on practice and display exemplary decision making skills including higher level thinking, evaluative thinking, and problem solving in both university classrooms and in K-12 schools. Candidates will demonstrate appropriate professional dispositions toward self, students, colleagues, administrators, and parents. Candidates’ professional dispositions will foster positive human relationships and demonstrate respect for the profession and the responsibilities it entails. Candidates will demonstrate content expertise and ability to align content and curriculum to appropriate standards. Candidates will demonstrate appropriate use of varied research-based teaching strategies and technologies to deliver effective lessons. Candidates will design and demonstrate appropriate use of varied assessments for promoting and measuring the learning of all students. Candidates will understand and recognize differences in students who represent various categories of diversity. Candidates will demonstrate ability and commitment to promoting the intellectual and personal growth of all students. Candidates will use theoretical knowledge and research about learning and human behavior to create motivating learning experiences, manage the classroom, and respond appropriately to classroom events. Candidates will fully grasp the realities of classrooms by applying principles, theories, and methods in diverse field-based and clinical experiences. Candidates will demonstrate a commitment to lead and serve in an ethical manner through interactions at the university and in school-based communities. Candidates will establish a foundation for continued professional growth and development. Alignment matrices showing the relationship between Conceptual Framework goals/outcomes and Missouri Teacher Standards and Quality Indicators are available in the School of Education office. Alignment matrices showing the relationship between course key assessments and Conceptual Framework goals/outcomes and Missouri Standards and Quality Indicators are also available in the School of Education office. Individual course syllabi show the ways University Wide Outcomes, Conceptual Framework goals/outcomes, Missouri Teacher Standards and Quality Indicators, and InTASC standards are addressed and evaluated in each course. Performance evaluations in field-based and clinical courses.